Includes a delicious hotpot supper. 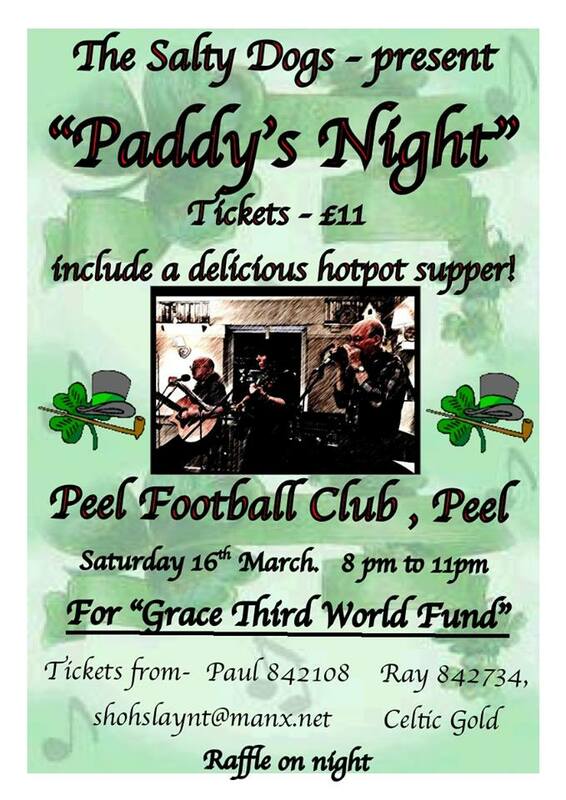 In aid of the Grace Third World Fund. Tickets from Paul 842108 or Ray 842734, and Celtic Gold.